(*working in conjunction with the publisher: L’Altra Editorial). Toni Sala (Sant Feliu de Guíxols, 1969) lives in Barcelona and is the author of over a dozen novels and works of nonfiction. Among his novels, one should mention Entomologia (1997, Edicions 62, winner of the Documenta Novel Award), Bones notícies(Edicions 62, 2001) Rodalíes (Edicions 62, 2004, winner of the Sant Joan Novel Award and the Catalan National Book Award) and Marina (Edicions 62, 2010). 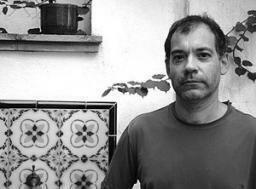 His latest published work is the novel Els nois (L´Altra Editorial, 2014) received the National Critcs Prize.